There is a certain profundity about waking up one morning, when your only plans for the day are to go to Friday prayers with your family, to discover that on the other side of the world people just like you, doing exactly the same thing with their Friday as you intend to do with yours, have been slaughtered. 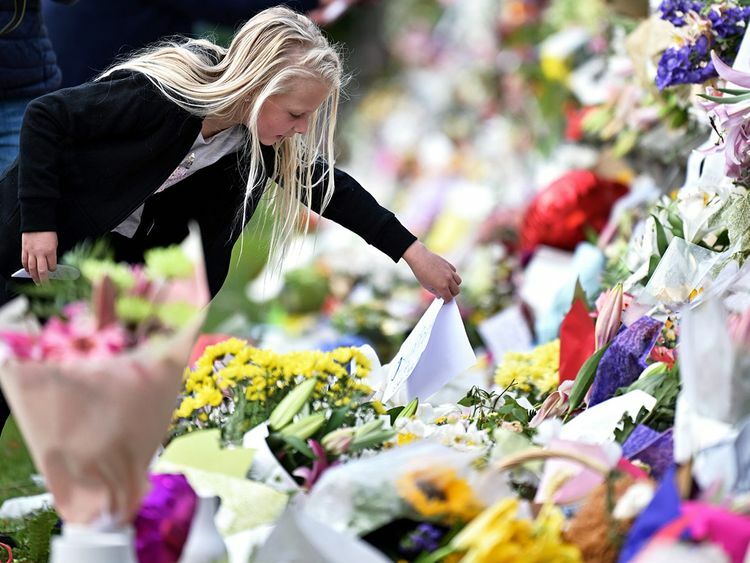 My first response upon reading of the massacre in Christchurch was, I admit, stunned blankness. I could read the words, and I understood them, but for a few moments there was no obvious emotional reaction. Not because I didn’t care about what had happened, but because the enormity of it meant it was simply too difficult to immediately process. The responses from many people, both politicians and those known personally to me, have been welcome. They have been kind and they have been compassionate and they have been well-intentioned.It is clear that there are many who are hurt and outraged by this atrocity. Promises of “thoughts and prayers” abound. But what they fail to understand is that we do not need your thoughts and prayers. Thoughts and prayers may be useful to the dead, and they may provide some comfort to the relatives of the dead, but they do nothing of substance for the rest of the living. Your thoughts and prayers will not save our lives. But the actions of politicians and the media undoubtedly destroy them. Every single day, people like me are subject to media onslaught. Every single day, we are demonised, both by the people who make our laws and by the people who have significant influence over public opinion. And when I say “we”, I don’t just mean Muslims. Because it’s not just Muslims who are losing their lives at the hands of far-right nationalism. It’s Jews, and Sikhs, and black people. Because when fascism comes to call, it usually doesn’t care what shade of “different” you are. All it knows is that you are different, and it does not like you for it. My fury and my pain is not lessened when a Jewish person is killed, or when a Hindu person is killed. We share a common humanity and that is sufficient for us to feel rage and pain. And it is evident that very many people do feel a sense of shared humanity with those targeted in attacks. Those emotions are not specific to people of colour, or to religious minorities. We do not own them. But marginalised people do have an acute understanding of what it is to live their lives in a constant state of low-level alert. How could we not? We’ve spent the last 20 years watching the world around us change beyond all recognition. Endless wars in the Middle East. Talk of “clashes” of ideology and culture. Refugee children left to die in the sea. The Windrush scandal. Right-wing nationalists given platforms that no one would have dreamt of giving them in the 1990s. There was a time when the very notion of the leaders of extremist parties appearing on Question Time was criticised heavily from almost all quarters. These days we have racists and extremists on mainstream television all the time, and hardly anyone in any position of influence bats an eyelid. Those in power have made their position clear: they will invade our countries of origin and they will plunder our resources, but they don’t want us in their countries. They value our oil but they don’t value us. They dress it up as “free speech” but through their actions hatred has been legitimised, and minorities die because of it.You may disagree, but it is the truth. So we don’t need your thoughts and prayers. We need our rights to be defended. There are many good and brave people who do that every day, but too often they’re doing it in a climate that is wilfully hostile. We need politicians and the press to do it. They created an environment where radicalism could flourish. Now it’s their job to send it back to the margins, where it belongs. That’s no small task: hours after the shootings in Christchurch, Australian senator Fraser Anning released a statement blaming an increasing Muslim presence for what happened. Will he be condemned by the people whose voices matter? Will he be sanctioned in any meaningful way? Or will he be allowed to continue to spew hate speech? So, politicians and the press can keep their platitudes. They’re meaningless unless they’re borne out by action. It’s time to make a stand. Defend our rights. Protect us from terrorism. Use your position to send a clear message that hatred has no place in society. Stop giving a platform to extremists. Stop pretending that white nationalism is not a threat to us all. Have the courage to stand up for our rights as citizens. Masuma Rahim is a clinical psychologist.